In 2017, online giant Amazon’s marketing budget was a whopping $10.070 billion. But what did they spend it on? Throwing money at something doesn’t mean it’s going to be great. And yet, everyone also knows who Amazon are. So, what exactly is it that they’re doing so right? Amazon is a household name: people’s first choice for most things. In fact, they’ve surpassed Google as a starting point for product searches with 52% of people saying it’s their go-to. Selling such a vast array of good quality products at competitive prices with quick, cheap delivery is hard to beat. That’s why when most people need something, it’s Amazon they head to first. Of course, this wasn’t always the case. So how have they done it? Well, firstly they understand the modern world. And they’ve adapted to it. They know what people want and they’re giving it to them. Take, for example, Amazon Prime. Through clever marketing, Amazon Prime feels like an exclusive club. Join and you have millions of products at your fingertips, available just the next day. Yeah, you’re paying for it, but the convenience feels so much like what you’d expect from living in 2018 that you stump up the cash. Jeff Bezos described Prime as a “one-of-a-kind, all-you-can-eat, physical-digital hybrid”; Prime is based on the understanding that people want more than they need, and they want it yesterday. This is a marketer’s dream – a feast of things to get stuck into. And they have. There’s even a dedicated “Prime Day” which exists to tease potential customers with the convenience of One Day Delivery and get them hooked on what could be. This philosophy extends further, even into the pre-sale experience. Because you associate Amazon with all these benefits, it means buyers have little reason to look elsewhere. It means that if buying off Amazon is an option, all these benefits attached to their brand name become added persuasion each and every time. It’s easy to use Amazon, so why wouldn’t you? Amazon is dedicated to efficiency. We’ve seen it above in Amazon Prime and we see it again across their website and app. Page speed has been a big focus for Amazon as webpage load times are proven to have a big impact on sales; for every 100ms a page takes to load, sales take a hit of 1%. Experts say a load time should be 2 seconds or less – the world is impatient. What’s important to understand is Amazon doesn’t sell products, it sells convenience. They market an easy shopping experience because they understand this is what people want. Therefore, things like page load times are crucial to their brand message: convenience. It’s a simple marketing message, and that’s what makes it so successful. While smaller businesses may not have the money or resources to mimic Amazon’s approach, those who make it easy for visitors to interact and buy from their site are those who see higher levels of success. By reducing the effort people need to put in, you’re much likely to see conversions. Through looking at the market leader’s techniques, you can adopt the best practices and enjoy the rewards yourself. Another way Amazon demonstrate convenience is through their sophisticated email marketing. Their algorithms mean that specific emails are sent to the people that are most likely to open them. Each email is addressed to the individual and most of them invite some kind of interaction. It is proven that personalised campaigns increase engagement by 74% so this micro-level segmentation makes it easy for customers to buy more. Amazon’s techniques again make a lot of sense. For example, two months after ordering a bumper pack of toilet roll, Amazon analytics will prompt an email with an easy re-purchase link into your inbox. Chances are you are running low and this makes it easy and efficient for you to buy again – convenience strikes again. They also offer a ‘Subscribe and Save’ service which provides automatic deliveries of your favourite items at a discounted price. Yet again, Amazon is making people’s lives easier. Therefore, their helpful, targeted emails are winning them repeat custom in comparison to those who still adopt blanket techniques and bombard people’s inbox. A lot of websites can give you recommendations, but they’re not often smart ones. Say you’re looking for wedding presents. Some sites will still be recommending you stuff weeks after the wedding has been and gone. Not helpful.What Amazon does is different. When you’ve spent time looking for wedding presents, the next day it’ll show you clothing or cards that are perfect for a wedding too. These kind of suggestions are helpful and might serve as a reminder for something you’ve forgotten. And thanks to Prime, you’ll be able to get it the next day. This is just one example of personalisation being done right; Amazon hasn’t just thrown vaguely similar products at you, but have spent time creating dedicated methods that make for a better user experience. Amazon’s massive budget means they have dominated paid search space. Last year, they held a 49.65% overall share of clicks online between October and November and devoted an average of $37.6 million per month to paid search ads. To give some perspective on how much this is, it is over $14 million more, per month, than the second biggest spender, Walmart. Therefore, it’s fair to say Amazon’s marketing strategy here is nothing short of aggressive. By flexing their muscles, they make sure they appear in every product search on Google. Amazon has also shown their adaptability in this field with product listing ads (PLA). 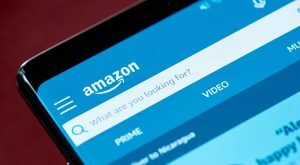 Amazon began trialling Product Listing Ads at the end of 2016 and quickly became a major player in the market. However, they have since withdrawn the budget for this and no longer buy PLA space on Google. The most likely reason for this that, as Amazon spend more time on their own advertising platforms, they don’t want to be buying competitor’s ad space. Having seen something that works, Amazon has decided to replicate it and reap the benefits themselves, rather than fund one of their biggest rivals. Amazon Sponsored Products work on a similar pay-per-click model and enables advertisers to place targeted product ads on their site. This is just one portion of the success they are having as their own advertising platform grows in popularity. After all, if the world is using it as a search engine, then Amazon ads are just as valuable as Google ones. You know you’ve mastered online marketing when you become an advertising platform yourself. 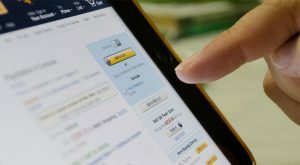 Having captured 43% of e-commerce sales in the US and accounting for almost 50% of all online product searches, Amazon now offers ad space to other brands. This allows companies to get fast sales with relatively little ad spend because they’re piggybacking on Amazon’s growing success. Once customers are on Amazon’s site, they’re already in a buying mood. Therefore, ads in this space are seeing much higher conversion rates. Amazon is predicted to quadruple their advertising revenue by 2020 taking their estimated share of the digital advertising industry spend to over 10%. If companies are battling for ad space on your website, this solidifies your status as a market leader. These brands are now spending their own money to promote your site as one of the top product vendors online. Once you’ve achieved this status, you know you’re doing something right. So, if you learn one thing from Amazon and transfer it to your own business it should be this: take time to understand what people actually want. Don’t try and guess, or force them into something, people will always want what they want. Amazon’s USP is convenience and this comes through in everything they do. Therefore, find yours and push it as much as you can.